Can you believe how fast 2018 has gone by? In just a few short weeks, you’ll be putting up your new calendars and working on your resolutions for 2019. But before you say goodbye to this year, you should make some time in your busy schedule visit your dentist. Popping into the office for a checkup or other important procedures will help you get the most out of your dental insurance in Carrollton. Let’s talk about how you can maximize your policy. If you haven’t already had two routine checkups this year, now is the perfect time to schedule one. Most dental insurance plans cover preventive care at 100 percent if you visit an in-network oral healthcare provider. Therefore, you could get your teeth cleaned and examined for absolutely no out-of-pocket cost. Even if your teeth and gums are perfectly healthy, attending these routine appointments will help you get more value from your insurance policy, and they’ll help you prevent future dental problems. Most dental insurance plans give you a certain amount of money to spend on approved procedures each year — usually between $1,000 and $1,500. If you don’t use all of that up, the portion that is left at the end of the year disappears forever. It doesn’t roll over to the following year. Going in for two annual hygiene visits probably won’t get you anywhere near your plan’s maximum, so you could still have hundreds of dollars remaining that you could spend on dental work. If your dentist recommends that you get a filling or other minor restorative work, there is no need to delay the treatment and risk that your dental problem will get worse. You may still have time to get the work done before your benefits expire at the end of the year. What if your dentist tells you that you should undergo an extensive procedure that will exceed your annual maximum? Since many major treatments, such as root canal therapy and crowns, take place across multiple appointments, you may be able to schedule them in both 2018 and 2019. Therefore, you’ll be able to use two annual maximums rather than just one. You can use your insurance along with your flexible spending account (FSA). FSA funds may expire at the end of the year, so now is the perfect time to use them. If you don’t have an FSA and find that, despite your insurance coverage, your dental expenses are still higher than you’d like, you may qualify for low- or no-interest financing through CareCredit. 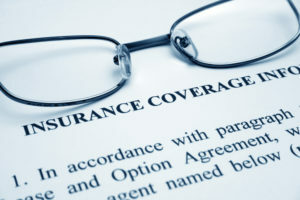 The staff members in your dentist’s office are used to dealing with all the fine print of insurance policies. They’ll be happy to help you figure out how your coverage works and how you can use it to your greatest advantage. Do you want to get the most out of your dental insurance? Visit your dentist in Carrollton before 2018 ends! Dr. Rajiv Shekhadiya earned his DDS degree from the prestigious New York University. He is a compassionate dentist who is proud to work alongside Dr. Ahir to provide excellent care to the Carrollton community. If you would like to learn more about our practice, our services, or our insurance acceptance policies, contact us at 46-892-6647.